Because of ignorance of Muslim culture, many tourists sometimes get into awkward or even dangerous situations in such countries. So before you go on this journey, it is advisable to study carefully the culture of the country, its customs and rules of conduct. In Muslim countries, women alone, it is better not to travel. In Muslim countries has a number of different rules of etiquette that must be kept, and to Express respect for local traditions and for their own safety. For a start it is not necessary to forget about appearance, and carefully choose the clothes that they have to go. In Muslim countries should dress as modestly as possible. Forget about short skirts and open dresses. Do not have to dress in the same things that cover each area of the body, as do the residents, but it's enough to wear any long sleeve shirt and a long skirt. Entering the temple, be sure to wear a head scarf covering the hair. Men, too, it is undesirable to wear open things, especially you should not walk wearing only a speedo. You also need to be careful to behave in communicating with the local men, and it is better to stay away from them, because any invitation to dinner or a simple conversation to them means an agreement on closer relations. You also need to be careful with eye contact. If you pay attention to the local residents, they never don't look, and go straight to his goal, but if you really wanted to look around, it may be advisable to wear sunglasses. Once a year during the month of Muslims fasting is called Ramadan. He concludes the rejection of food and drink within twenty four hours. If the tourist was in the country at the time, it is advisable to refrain from eating in front of local residents, which are likely to hold the post. In some countries this can even be arrested, as, for example, in the UAE. But in developed tourism countries like Egypt, Turkey, restrictions on post especially. In Muslim countries in the markets or even in conventional stores it is customary to haggle and drop the price of the desired product. If you do not bargain, we have a huge chance to buy goods at highly inflated price. 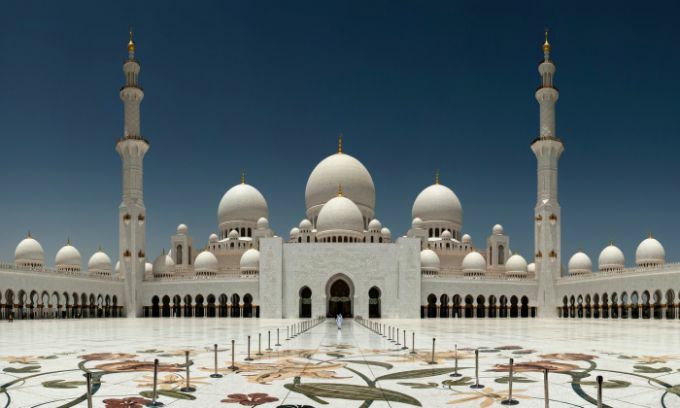 Muslim countries have an interesting culture and characteristics of etiquette, observing that you can spend a wonderful holiday enjoying the local sights, nature and temples.